Kadaram Kondan Team's Update For Vikram Fans! ‘Chiyaan’ Vikram fans are waiting with much anticipation for his Kadaram Kondan under Thoongavanam fame Rajesh M. Selva’s direction. Being produced by Kamal Haasan under the Raaj Kamal Films International banner in association with Trident Arts, the action thriller includes Akshara Haasan also playing a vital role and music by Ghibran. 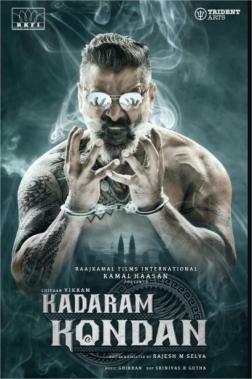 Meanwhile, Vikram fans have gotten a new update from director Rajesh Selva, who took to Twitter to announce that the ongoing schedule for Kadaram Kondan in Malaysia has been wrapped up while also thanking the entire team including Kamal Haasan. Expectations shot up for this exciting project after the first look poster was released earlier this month as a Diwali treat for ‘Chiyaan’ fans everywhere.